On March 16, our second-grade students held the mock international conference with exchange students attending Kanazawa University. This conference was held on campus to finalize a series of activities our students had experienced in “Global proposals” project this year. 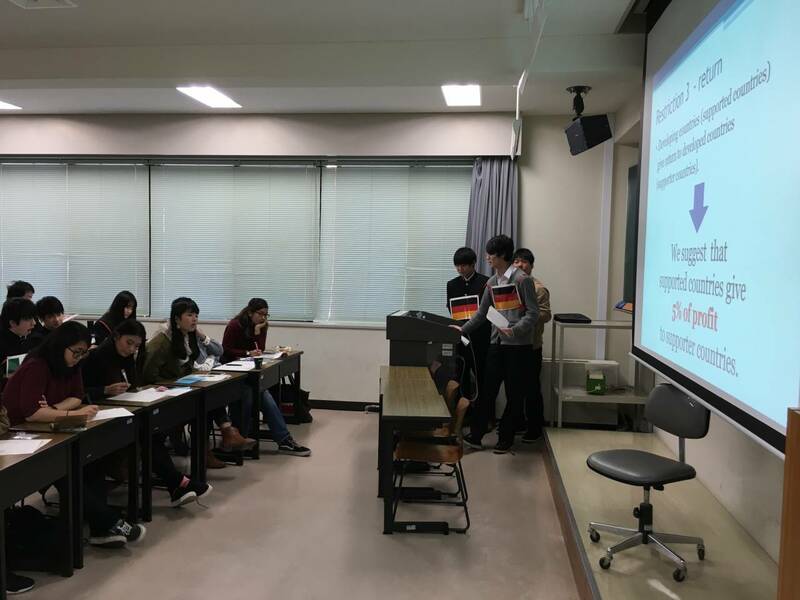 In November, as part of the “Global proposals” project, our students had already taken part in a mock international conference as representatives of 14 countries, conducted in Japanese and entitled “Food Security－How to Feed the World in 2050”. Based on the results of the previous conference, our students made presentations in English this time. They used slides in their presentations in order to propose a variety of solutions for global food security issues from the point of view of individual country. They also had meaningful exchanges of views with the audience.